Dana Larsen invited audience to join “biggest civil disobedience movement in history”. Mar. 15, 2017 6:00 a.m.
Pot activist Dana Larsen spoke at the Prestige on Tuesday. He wants people to plant cannabis in public places. 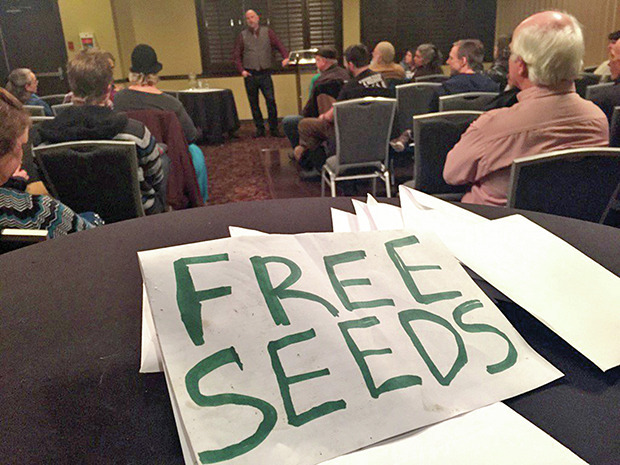 Notorious pot activist Dana Larsen was in Nelson on Tuesday evening, and during his talk at the Prestige Lakeside Resort he distributed envelopes that included Ziploc bags containing CBD-rich cannabis seeds. “By giving away these seeds and encouraging people to plant them in public places like traffic circles, in front of city hall and police stations or on their own property, I want to normalize the cultivation of cannabis,” he said during his talk, which was attended by approximately 40 people. The stop was part of Larsen’s Overgrow Canada campaign, a civil disobedience project that aims to distribute five million marijuana seeds across the country in 2017. The tour got him arrested for trafficking in Calgary last year, but Larsen remains defiant in the potential lead-up to federal legalization. The 45-year former leader of the BC Marijuana Party and editor of Cannabis Culture Magazine preached to a small group of friendly faces during the event, while weighing in on the recent arrests of his fellow activists and colleagues Marc and Jodie Emery. Coincidentally, the event was held during MLA Wayne Stetski’s telephone town hall on legalization. He said these arrests, and his “silly little night in Calgary jail,” actually help their movement. 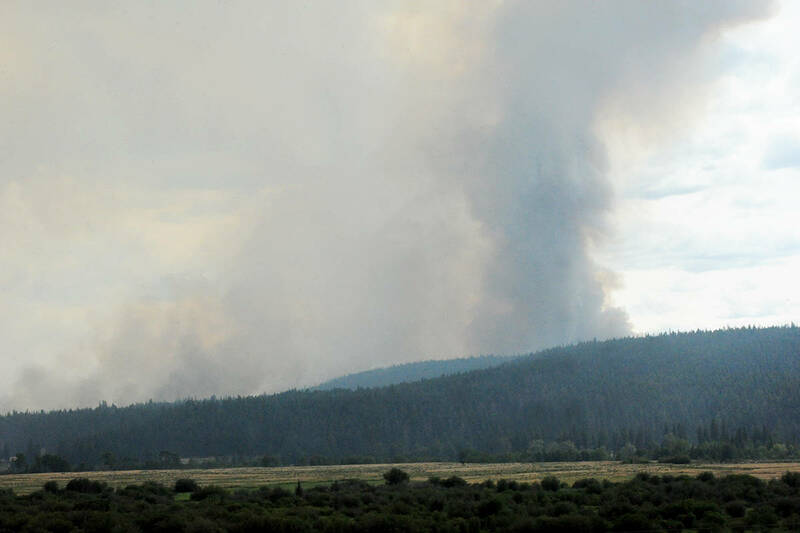 Asked by a member of the public on his opinion about Nelson’s move to regulate the dispensaries, and to introduce a $5,000 business license fee, Larsen said, “Yes, I’m disappointed with Mayor Deb Kozak”. He said the federal government often makes choices that put an onus on municipal and provincial governments. He noted that safe injection sites are another example of local governments turning a benevolently blind eye.